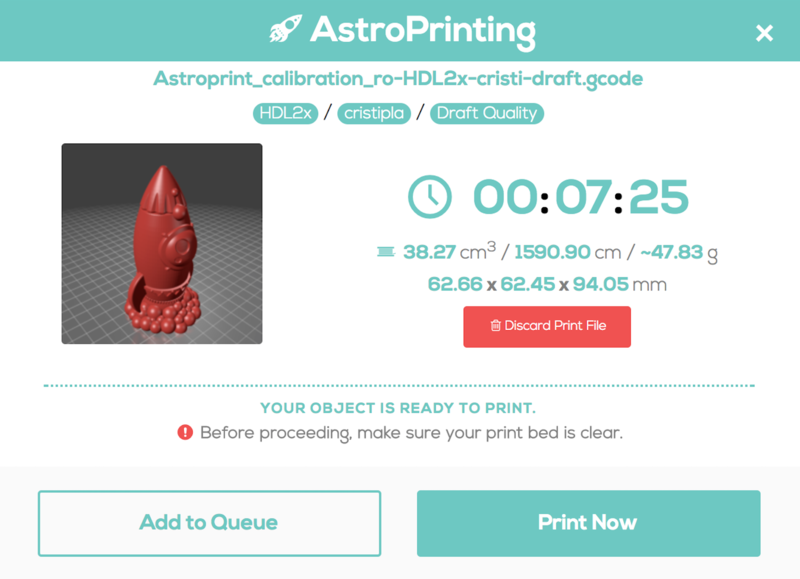 Upgrade now to PRO plan and start using Print Queues! Print Queues is an app where you are able to create, edit and remove print queues for your print files. You’ll have total control over your print jobs using a single interface and real-time monitoring of multiple devices at the same time. Easy. We integrated it with the print dialog you’ve been using. 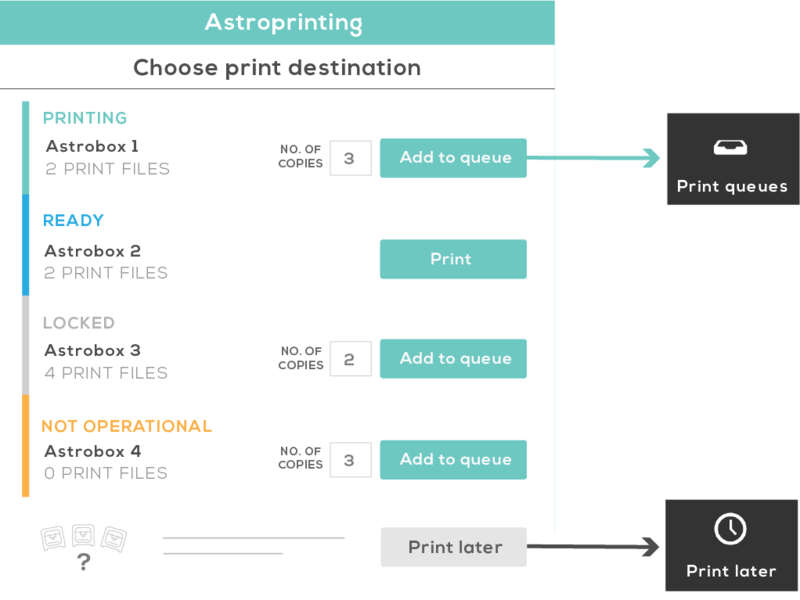 You can choose a device that's printing to queue the print file, or select print later if you don't know which printer will print it, and decide later where to send it. 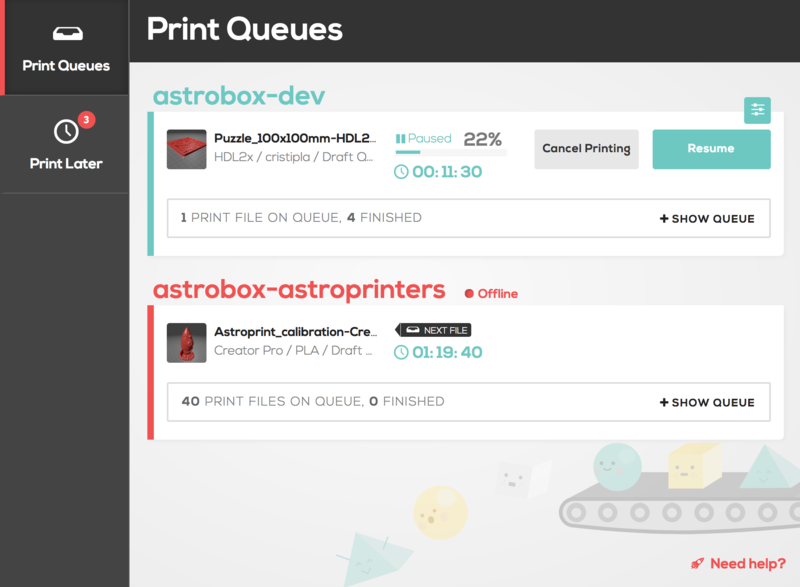 Also you can access the print queues app right from your dashboard. Have you ever had more objects to print than printers? 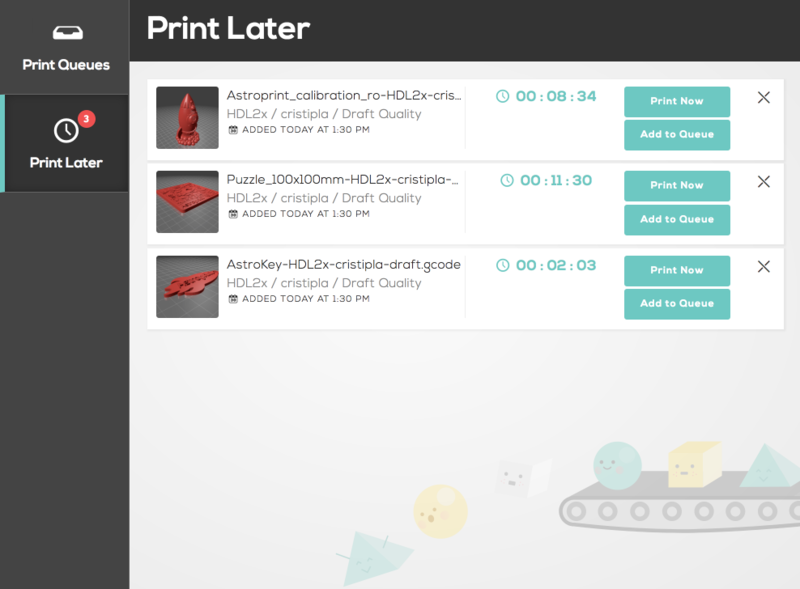 With the print queues app you can get all of your objects ready to print and assign them to a printer. As soon as a print has finished the next file is ready to go, you only have to clean the bed. When the printer is ready for the next file to print. What the next file to print is. How many files are remaining. How long the file takes to print.